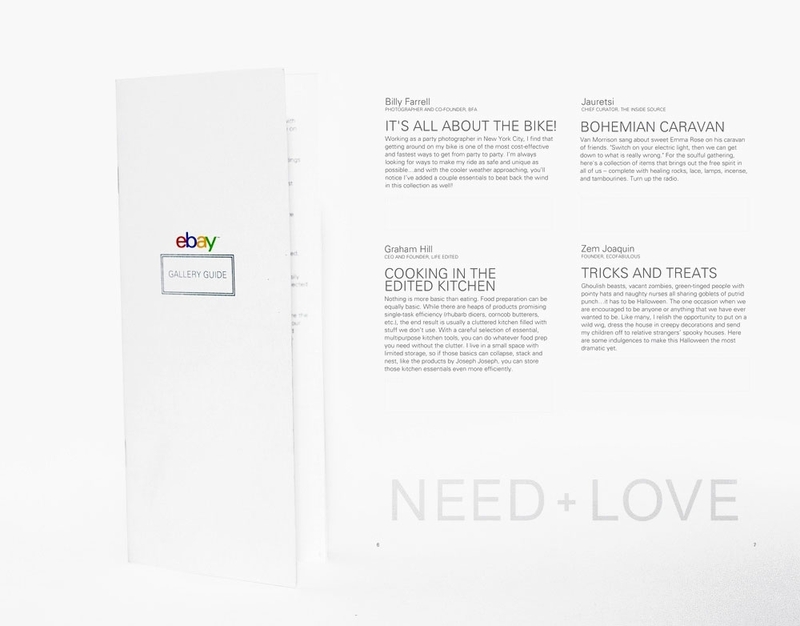 We were approached by Edelman Public Relations to create a walk around brochure for eBay’s, “Need + Love” event featuring fashion designers and artists and their take on collections and collectors. The event was housed inside New York’s Industria SuperStuido located in the city’s Meat Packing District. With collective works from such artists as Andrea Linett, Ashley Avignone, Billy Farrell, Chris Benz, Todd Sleby, **Pharrell Williams, and more. We were responsible for layout, design, and printing. ** Check out the pieces we created for Pharrell Williams for this event by clicking HERE.